As the god who created all the other deities, Ptah is worshipped as the patron of craftspeople and architects. He is credited with inventing masonry. The famed architect Imhotep claimed to be his offspring. The Apis bull was considered to be a part of Ptah, and lived in his temple in Memphis. The capital city being the home of Ptah did more than just help spread his worship all across Egypt; often the pharaohs’ coronations were in his temple. 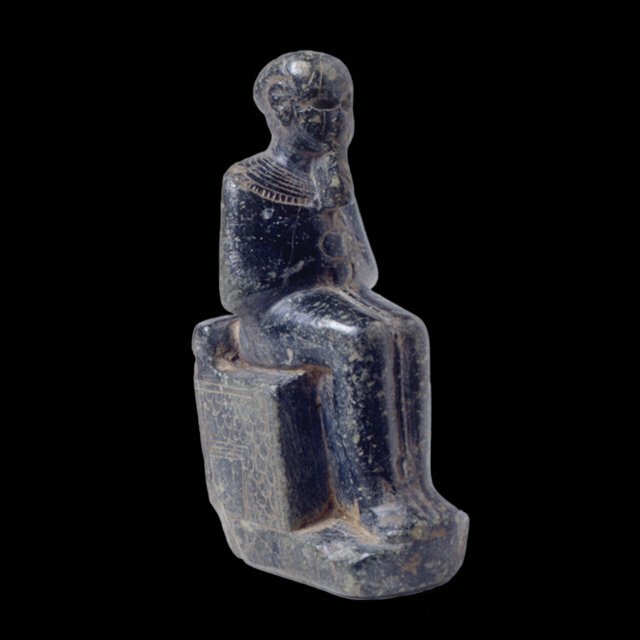 Image: RC 70 Seated Ptah statue at the Rosicrucian Egyptian Museum.